if you’re suffering from hair loss problem, it’s time to protect it with natural treatments. The natural treatment not only promotes hair growth but also treat scalp infection and help in re-growth of hair or strengthens hair follicles it is quite a safe procedure without any side-effects. it is possible to rejuvenate the scalp and definitely re-grow hair with the help of natural ingredients it depends upon condition majorly good health, nutrition and a stress-free healthy lifestyle. .Massaging your scalp rejuvenate the roots and increase blood circulation to the hair. they also hyperactive hair follicles cells give a boost of oxygen New studies have shown that five minutes of scalp massage every day there was a significant increase in the progression of the hair cycrl. 1.Peel the onion or chop them into pieces. 2. Blend the pieces and squeeze out their juice. 3. Apply on your scalp and massage circular movements. 4. Let it sit for approx. one hour. 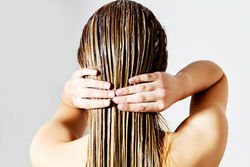 5.Rinse your hair with a mild shampoo. 6. Repeat this two times in a weak to obtain the desired results. Neem oil has anti-fungal, antiseptic, and antibacterial properties it helps to get rid of dandruff or treat a various scalp condition so, it will bring relief irritation neem oil has amazing natural moisturizers that nourish your hair. 1. 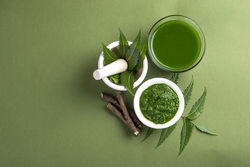 Take fresh neem oil. 2. Massage your scalp with neem oil and leave it overnight. 3. Next day, rinse your hair with a mild shampoo. 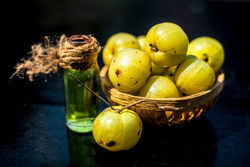 Amla is natural sources of vitamin C excellent antioxidant properties applying amla to your hair increased hair growth prevent prematurely greying reduce the chances of hair loss its iron and antioxidants content that prevents free radical damage to hair follicles. 2. 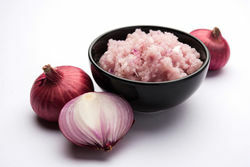 Add warm water to the powder to form a paste then apply it on your hair and scalp. 4. Use this twice a weak. Fenugreek seeds have so many benefits, for hair, if you’re suffering from hair loss, that could help hair regrowth, it is beneficial in reducing breakage it is one of that natural treatment who solves all your hair problems. 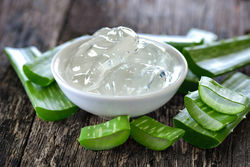 Aloe vera contains antiviral and antibacterial properties and ability to promotes hair growth it also acts as a great conditioner and leaves your hair smooth and shiny. 1. 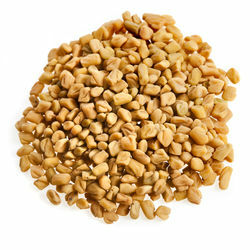 Soak fenugreek seeds overnight in winter. 2. Next morning grind fenugreek seeds, with aloe vera, pulp and make a smooth paste. 3. Now apply this hair mask and cover your scalp and hair well. Your common sense should be accepted as a given.